Do you remember D.E.A.R? At my elementary school that meant “Drop Everything And Read,” something we typically did for 10 or 15 minutes every day. Best part of my day, really. As my TBR and Library piles are battling for supremacy and trying to sneak in around the review copies who have staked out places on my calendar, I’m thinking back to the simpler days of D.E.A.R., when I believed I had time to get to any book I wanted. And that, of course, got me fantasizing about a world where I really could just Drop Everything And Read for more than just 15 minutes a day. I really have no idea how this one slipped past me. It showed up in my mailbox last fall and I was SO excited, but was still trying to finish out 2012 at that point. Somehow when I started reading for 2013 this story of an enslaved woman in early 19th-century South Africa just got missed. Philida was on the long list for the 2012 Man Booker Prize. Calling Me Home is getting some crazy good reviews across the bloggosphere. It is based on Kibler’s own family lore of the grandmother who fell in love with a black man in a in a time where such a relationship was dangerous, if not impossible. Calling Me Home follows the two women as their relationships changes thanks to a favor and a funeral. I think I have this coming to me soon in audio, so there’s still hope, but I’m hearing amazing thing about this story which involves slavery, reparations, and art history. I guess I’m not too sad about missing this in print if the audio shows up, though, because it is narrated by Bahni Turpin, who is phenomenal. I’m not sure I feel the need to explain this one at all. IF you know me at all I’m pretty sure the subtitle speaks for itself here. What books have you been meaning to read that you just haven’t got to? February 19th, 2013 | Category: D.E.A.R. In middle school I had a teacher who called it SSR (Sustained, Silent Reading), and I loved that too. I had a teacher that called it that too at one school I attended. I had one person tell me that their teacher called it Uninterrupted Silent Sustained Reading, or USSSR. Um. We didn’t have D.E.A.R. We did have Book-It (which I always won a free pizza from) and D.A.R.E. though! D.E.A.R. isn’t programmatic like Book-It, just quiet reading time. They are totally different, but personal pan pizzas and those awesome pins were a great Book It prize. Just FYI, Book It still exists! I loved DEAR! It’s such a great program to get kids interested in reading and to give them time to read at school, since some of them don’t get that time at home! We should just do DEAR anyway! Surprise I’ve read two of those. Calling Me Home, right? And what’s the other? House Girl? What did you think? I loved DEAR, too! When I taught high school we practiced a version of this, and I loved it. I know some of the other teachers used the time to catch up on work, but I looked forward to my twenty minutes of reading. Oh my gosh! 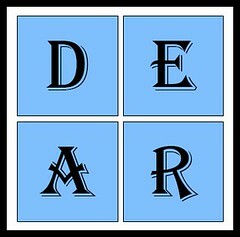 I forgot all about DEAR and SSR – we had both at the schools I went to in WI growing up! Thanks for the walk down memory lane and the great books to consider for spring!